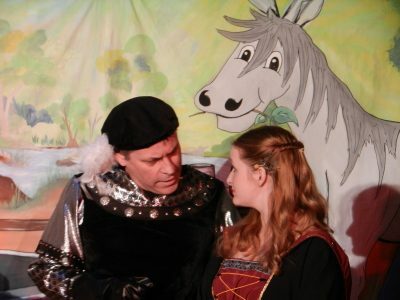 Our touring pantomimes and children’s shows are high quality theatrical productions. We take the best traditional panto stories and combine them with modern music and dance, accompanied by slapstick and thigh-slapping heroics that have always been the hallmark of great Panto. Our children’s shows are topical and relate to the current school curriculum (where appropriate). We include songs that children recognise and sing along with. We will perform for you on any day of the week, morning, afternoon or evening. Touring England throughout the year we bring the show to you with high quality adaptable sets, sound & lighting and props, meaning we are able to perform in any sized venue. Our professional actors are experienced in performing for children (and their parents and teachers!). We take safety extremely seriously. All our electrical equipment is tested, we carry all appropriate insurances and all our actors have current DBS checks. We write our scripts specially for a family audience so our touring pantomimes are suitable for all ages from 1 – 101. Each show combines comedy, romance & thigh slapping heroics set to a wide variety of popular and traditional sing along music. 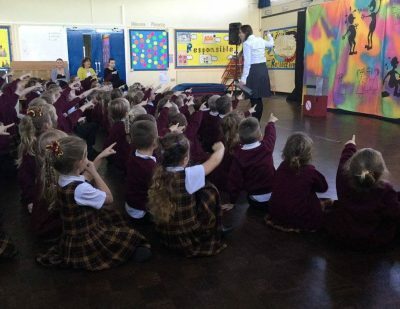 Our shows have been well received at hundreds of clubs, associations, schools and nurseries for over 10 years. You don’t even need a big space, we can perform in the bar, or a function room, or a gym. For the under 5’s our EYFS/Pre-school show can be performed on the same day as our pantomime. We offer a wide range of shows through the year. Each show is tailored to a particular age group and between them they offer the whole school a high quality visual learning experience. 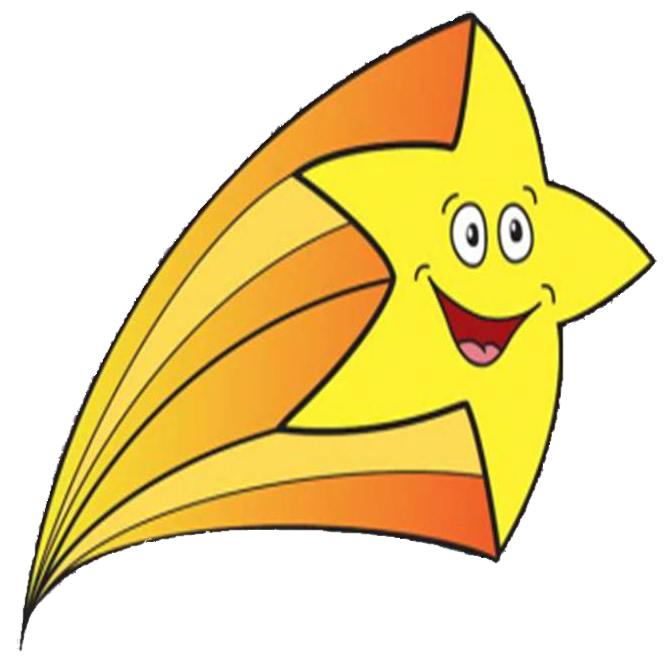 For many years now, Shooting Star Entertainments have been donating our Pantomimes free of charge to raise money for charities. Are you looking to raise money for a charity? If you and your students or members would like to host a charity Pantomime, then find out more using the link below.